Creamy, thick, luscious yogurt. . . and you can make it for a fraction of the cost in your own crockpot. Set the yogurt on the counter so it can reach room temperature. Pour milk into a large pot and heat on medium low until temperature reaches 190 degrees Farenheit (88 degrees Celsius). (Use a candy thermometer to keep track of the temperature. Mine has a clip on the side so it can hang off the edge of my pot.) Stir regularly while heating. Once it hits 190 degrees, turn off the heat and let it cool until it reaches a temperature of 110 degrees Farenheit (43 degrees Celsius). Turn your empty crockpot on and heat it for a few minutes until it is warm. Turn it off. Pour the hot milk into the crockpot. Remove about one cup of warm milk and gently stir the yogurt into it. (At this point, it should be room temperature.) Then gently pour it into the crockpot and stir it into the rest of the milk, with a very slow, gentle movement. Do not stir the yogurt or remove it from the crockpot. Instead, unwrap the crockpot and place it into the refrigerator to chill. After it is cold, you may gently stir your yogurt and ladle it into glass containers for storage. The next time you make this, you can simply use 1/4-1/2 cup of the yogurt as a starter for your next batch. After 4-5 batches, you will want to start over again with a fresh store-bought yogurt as your starter. Obviously, the better quality of your ingredients, the better this will turn out. However, you can use anything you have. I've used UHT processed milk, and a friend of mine uses reconstituted milk from milk power, and it has turned out for us. It will affect the taste somewhat, though. If you don't have a candy thermometer for testing the temperature of the milk, you can guesstimate it. At 190 degrees, the milk will be steamy and foamy, with bubbles around the edges of the pan. If you hold your hand just above it, it will feel quite hot. However, you don't want the milk to boil! It will probably take about 10-20 minutes to reach the right temperature. I have found that it takes about one to one and a half hours to cool to the correct temperature. Of course, this is in a rather hot environment. If your kitchen is quite cool, it will take shorter. All in all, preparing the yogurt will take less than 2 hours of mostly hands-off time. Freeze it and eat it like ice cream. 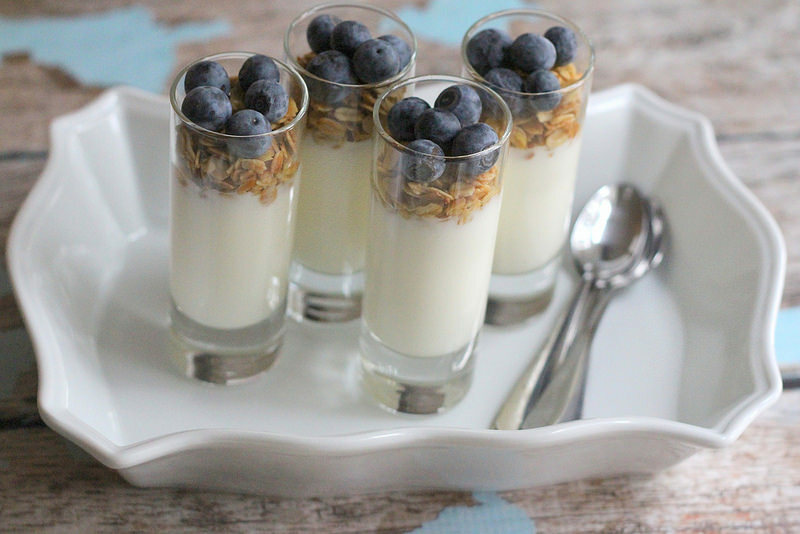 Make a breakfast parfait. Alternate layers of granola, sliced fresh fruit, and yogurt. Substitute yogurt for sour cream, cream, or milk in recipes. Add it to your fruit smoothies. If your yogurt turns out runny, try some of these options. . .
Make sure you are optimizing it by allowing it to reach 190 degrees and cool to 110 degrees. In my experience, this has the biggest impact on the way it sets. Add a little bit of powdered milk to your milk before you heat it. Use a different brand of milk and see if that makes a difference. Let it sit longer than 8 hours. Make sure you are not stirring it or removing it from the crockpot before it chills. If none of these things work, don't despair! Runny yogurt is still yogurt. You can use it as a substitute for sour cream or buttermilk in recipes, add it to your fruit shakes, or pour it over granola. In Asia, we like drinking our yogurt. Add a little fruit flavoring or sweetener and try it as a drink. You can make yogurt from start to finish in your crockpot. No heating on the stove is necessary. Instead, heat the milk on low in your crockpot until the temperature reaches 190 degrees. Turn off your crockpot and wait until the temperature reaches 110. Then follow the directions given above. This will add about an hour to your time, but it may be worth it to you. With this method it is harder to keep the thermometer where it needs to be. Try looping a ribbon through the handle of your crockpot lid and tying it around your thermometer in order to keep it in place inside your crockpot. Creamy and sweet, delicious served warm or cold. Cool on rack. Place in an airtight container and refrigerate. This pudding thickens as it cools. Liven up your leftovers with a fresh new twist! In fact, I plan for leftovers. I am disappointed when my chili disappears in one meal. I tip the pot towards me and frown down into its scraped-clean depths. Uh-oh! No burritos for tomorrow's lunch. Leftovers are one of God's good gifts to womankind. They save us money and they save us time. As a busy mom/missionary/teacher/writer, I am always looking for new ways to save money and time! In addition, many leftovers (although not all) taste better on the second day. What more could a woman ask for? With all these benefits, why do many leftovers suffer long, drawn out, painful demises in the back forty of our refrigerators? The truth is that we don't really have a plan for their proper usage. 1. Eat it the next day, as-is. This is the default button for many people. And it works! Reheat and enjoy. If you are brown-bagging it at work or school, this is a tastier choice than PB&J or slimy ham sandwiches. When you clear off the table, package it appropriately in take-along portions. This is another great option. Many recipes freeze well. Stews, sloppy joes, chili, chicken, lasagne. . . it is wonderful to be able to pop them out of the freezer on a busy day! Freezing leftovers gives you all the benefits of eating it the next day, but with an additional newness factor for your family. Tips for freezing: Freeze immediately after your meal. Don't let it languish for days in the refrigerator. If you made a baked pasta or other casserole and you have half a pan left, transfer it to a new casserole dish of appropriate size. File it in the freezer for a busy day next week. Congratulations! You just saved yourself an expensive and waist-expanding trip through the Golden Arches. 3. Makeover that food: Turn it into something new and tasty! This is my favorite way to use leftovers wisely. I take Wednesday's chili and give it a makeover for Friday's Tex-Mex Burritos. Chicken casserole becomes soup (or vice versa). Pork roast becomes Barbecue Pulled-Pork Sandwiches. Baked potatoes get diced and browned and thrown into omelets or breakfast egg scrambles. Learn to think outside the box when it comes to leftovers. Get creative and see where it leads you. Here are two Leftover-Makeover Menu Plans that you can use or modify to please your family's unique tastes. Day 1: Hot Chicken and Gravy Sandwiches with Veggies. Set up your crockpot with a big batch of chicken! I use my oversized crockpot for this. Four or five pounds of chicken pieces (with bones--it is less expensive and makes better broth) get washed and skinned and placed in the bottom. Then I add celery (don't waste!--include the leaves for extra nutrition and taste), onion, salt, pepper, quartered potatoes and carrots, and maybe some green beans (halfway through the cooking time). I fill it to almost the top with water. Then I order my bread machine to go to work on a loaf of homemade bread. Just before dinner, I remove some broth from the chicken and make gravy. This chicken is so tender it falls off the bone. We dish up hot chicken and gravy sandwiches with vegetables on the side. Then I strip the bones of any remaining meat and refrigerate it. Leftover vegetables get bagged for use later in the week. I strain the broth and freeze that also. If there is leftover bread--which almost never happens at my house--I freeze it for bread crumbs or make homemade Butter-Herb Croutons. Homemade croutons are devoured by my crazy crew of kids! Make a mouthwatering casserole like Chicken Broccoli Bake. Use the leftover chicken from Day One. Sneak in a budget-friendly meatless meal. Use the Leftover Chicken Broth. Brown those leftover potatoes and carrots in a frying pan with a bit of oil and some chopped garlic! Serve it on the side. Add some fresh fruit slices and you have a homemade meal in minutes! Makeover #1 can be done all in one week, for consecutive days, because the meals are varied in their tastes. Makeover #2 works better if it is spread out over two weeks. Soak pinto beans overnight. In the morning, discard the liquid and stock your crockpot with the beans, spices, and water. Cook on low until dinner. Make a pan of cornbread and serve it alongside the beans. Tip: Freeze leftover beans immediately in one or two cup portions. Drain liquid first. You can also use these beans for homemade refried beans. Use the beans from Day One. Before serving, set aside enough chili to freeze for your family for the following two menu plan days, or you will also be gazing down into your chili pot with sorrow. If you have leftover cornbread, serve it on the side. Reheat the Chili and spoon into flour tortillas with cheddar cheese and your favorite burrito or taco add-ons. Thaw the second portion of frozen chili, add a drained can of corn, and whip out this tummy-filling casserole in no time. Now you have two of my favorite secret weapons for leftover makeovers. What menu ideas can you come up with, using leftovers? Share them with us in the comments section below! Nobody wants the same menu four days in a row, so turn on your creativity and watch the wow factor at your table go off the charts! Makeover your leftovers and save yourself both time and money in the kitchen. Chicken. Broccoli. Cheese. These are a few of my favorite things! Layer chicken and broccoli in a 9x13 pan. In a mixing bowl, mix together soup, milk, and cheese; pour over the chicken and broccoli. Combine bread crumbs with butter; sprinkle over the top. Sprinkle with paprika. Bake at 350 degrees for 30-45 minutes. 8-10 servings. Optional: Use fresh broccoli. Boil a big pot of water. Drop broccoli heads in for about 2 minutes or until they turn bright green. Pull them out of the water, chop. You can peel and chop the stem, too. This recipe is from the Straight "A" Cookbook: Recipes from the Faculty and Staff of BJU. Use your leftover Crockpot Chili for a hasty start to this tasty casserole! Mix the corn into the Chili. Spread in the bottom of a 9x13 baking pan. In a mixing bowl, stir together the dry ingredients above. Add wet ingredients. Mix well until it forms a soft dough. Spoon over the Chili mixture in the pan, making it as even as possible. Bake in a preheated, 350 degree oven for 45 minutes. Try this on a cool fall day. Your family will walk through the door, sniff, and say, "Wow! What's for dinner?" Cook ground beef with onion, bell pepper, and garlic. Drain grease. Pour into crockpot. Add remaining ingredients and mix well. Cover. Cook on low 8 hours or on high 4-5 hours. This recipe makes 5 cups of chili, or approximately 4 servings. Optional--you can also make this on the stovetop. After adding all the ingredients, simmer for at least 20 minutes. Beans taste far more flavorful if you add the seasoning while they cook. These beans can be eaten right out of the crockpot with cornbread or used in other recipes. Place all ingredients into crockpot and cook on low for 8 hours. Granola is one of those recipes you can take with you to almost any country in the world. This one is chock-full of crunchy nuts and dried fruit. Sesame seeds and sunflower nuts. Combine oats and coconut in a large bowl. Mix together the water, oil, vanilla, salt, and honey. Pour over the oats mixture and stir. Stir in a sprinkle of sesame seeds and 1/2 cup sunflower nuts (unsalted), if desired. Spread on rimmed cookie sheets. Store in a tightly-closed glass container in the refrigerator. Optional: For Cinnamon Granola, substitute a tablespoon of cinnamon for the vanilla. 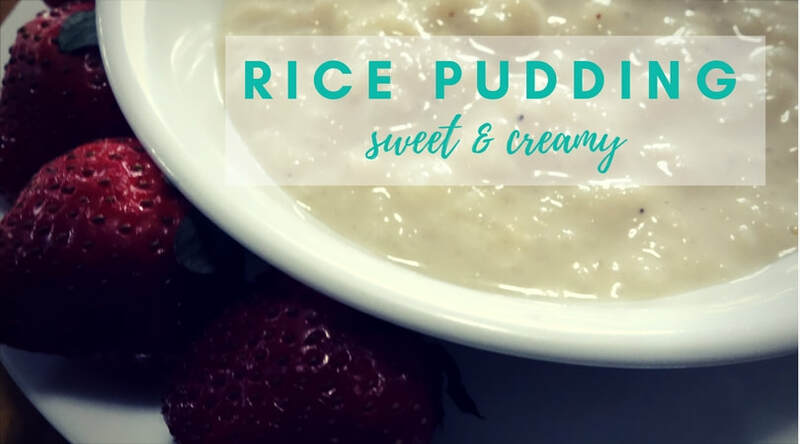 This recipe is gluten-free and can also be dairy-free if served with rice milk or other dairy-free alternative.